Men's Screen Printed Shirts Home | About Us | Opportunities | Sponsorships | Contact Us! T-shirts are an essential part of any guy’s wardrobe, but sometimes they all blend together and just start looking the same. This week we’re thrilled to introduce you to some amazing men’s handmade screen printed shirts that will help put your personal style right on the front of what you wear! Each of these t-shirt designs has been created using freehand or graphic design techniques before being printed on the shirts one at a time. 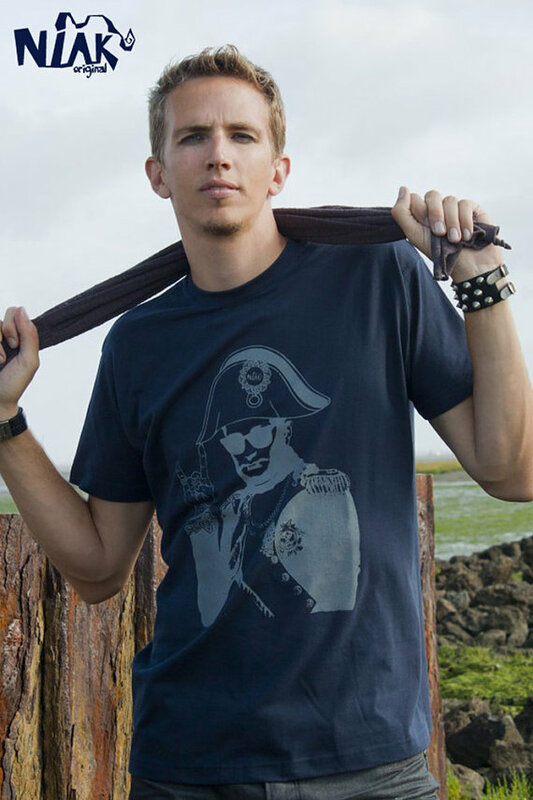 The designs are totally unique, and the shirts have been made to become one of your favorite sin no time! 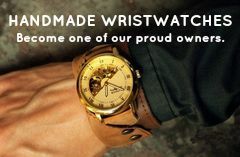 and make sure to vote for your favorite design at the bottom of the post to show your support for the shop that created them! 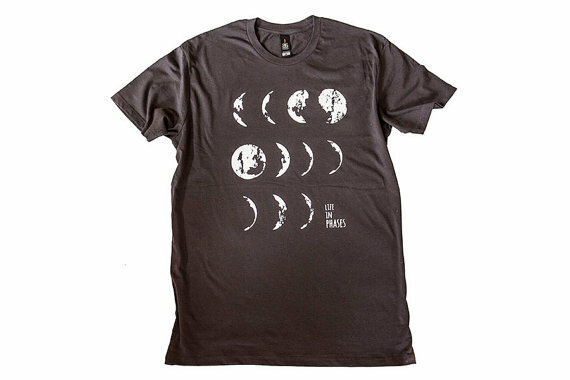 The rhythm of the moon and of life is captured beautifully on this soft charcoal grey men’s t shirt. The design features 11 faces of the moon, and it was printed by hand in New Zealand! What’s more dapper than a bird in a hat? Not much! 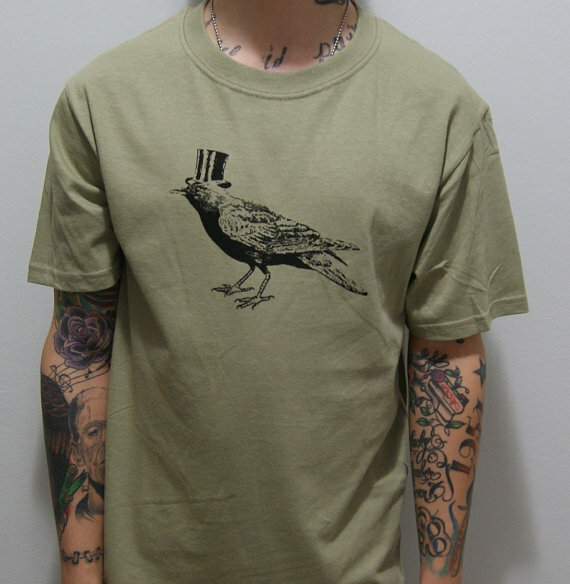 This soft olive green men’s t-shirt has been screen printed by hand using high-quality inks that will stand up to the test of time. See the wild side of military history! This tube-style shirt has sift sides with no seams and has been hand printed in France. 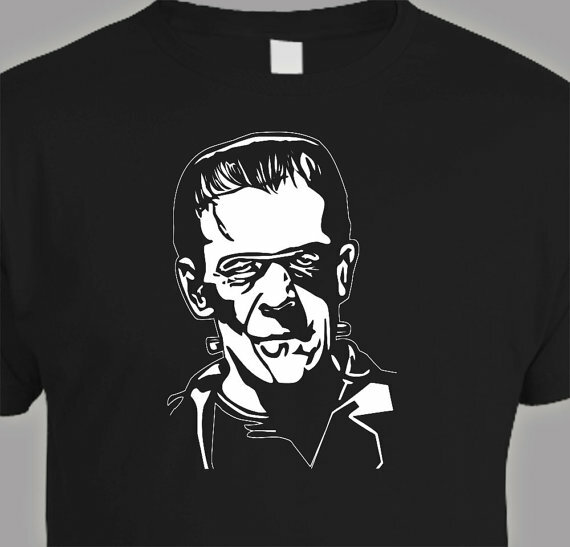 Get spooky with this hand screen printed shirt in the style of Boris Karloff – one of the most famed actors who ever portrayed Frankenstein! Show your support for the shops featured above by picking the one you liked most. Just click on the name of their shirt and hit ‘vote’! A big thank you to the great artisans and shops who let us share their screen printing magic with you this week! Tagged Screen Print, screen printed, shirts, t-shirts, Theme. Bookmark the permalink.